Although I have not talked for a long time and try to explain, in the best possible way, about the universe and what is not around, I think that today is the time for what expands it. As you will not remember, and it is normal, long ago the talk of neutron stars. These small stars because the gravitational attraction has almost been able to and that the core is exposed, formed by the heavy materials and that, mainly, the form of neutrons that are conserved thus thanks to the principle of exclusivity of Pauli (since otherwise, they would be Stars of Quarks). Well, of this type of stars there is a “version” called magneto stars. 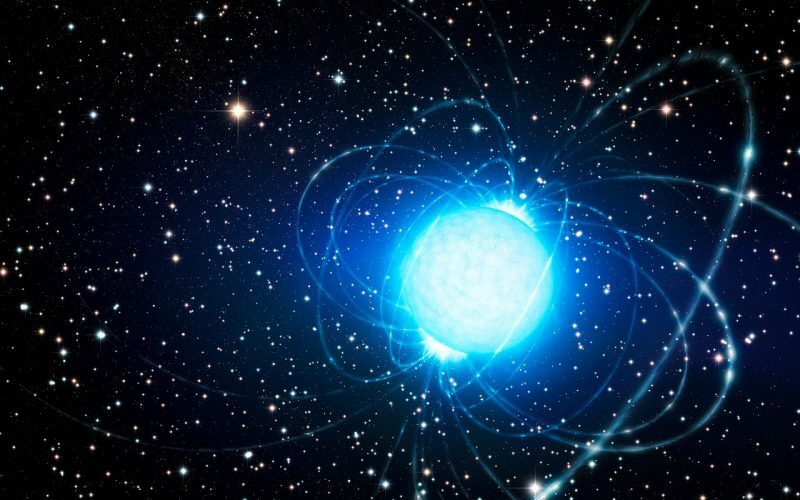 The magneto stars are stars of neutrons, which, as you will not remember, have a strong magnetic field except, the magnetar (magneto stars) still have much stronger. If the chords are the ones that stars of the neutrons are considered the radio headlights for the moment, as they rotate very quickly (to preserve the angular momentum) they emit pulses of radiation (hence the pulsations) of energy, X-rays Well, the magnetar these pulses are not only X-rays (recorder, which is a specific frequency) but the pulse encompasses the broader frequencies: X-rays and gamma rays. The main difference between a pulpit and a doll is that the latter rotates faster. Because of its rotation, matter, inside the star acts as a dynamo generating more magnetic field than usual to have a pulsar. Because of this unusual magnetic field, children attract by gravity, these stars attract what surrounds them by magnetism. A double game! Luckily (or unfortunately) very few examples of these stars are known, being the most famous, in the Large Magellan cloud (the great one) visible, unique, in the southern hemisphere.